A long history of doing business in the laundry sector, designing solutions to meet the needs of a wide variety of customers. This company, always true to its own values, will celebrate 45 years of undisputed success in September. IMESA is a leading Italian manufacturer of laundry machinery and systems, with more than 40 years of unwavering commitment to and focus on technological innovation and new lifestyles. Innovation, quality, safety, versatility, service and reliability: these are the pillars supporting the company success. Innovative technologies and solutions, quality guaranteed by UNI EN ISO 9001 certified production processes, product safety certified by authoritative European, American and Russian tests, the utmost flexibility in meeting the clients’ needs by providing customized products and services, and, last but not least, maximum reliability thanks to the sturdiness and durability of its products. 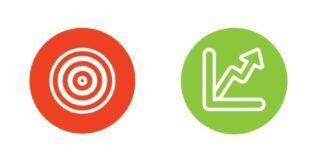 IMESA’s top priority is total client satisfaction. Through its competent and professional distribution and service network, the company provides a flawless service in Italy, Europe and the rest of the world. IMESA distributors are partners true and proper, capable of providing the necessary support when choosing the most suitable equipment through financial analyses of the management costs and project rendering. The company’s spread-out after sales network guarantees prompt assistance in case of need and all spare parts are easily available from the company’s customer support centers or through its websites. 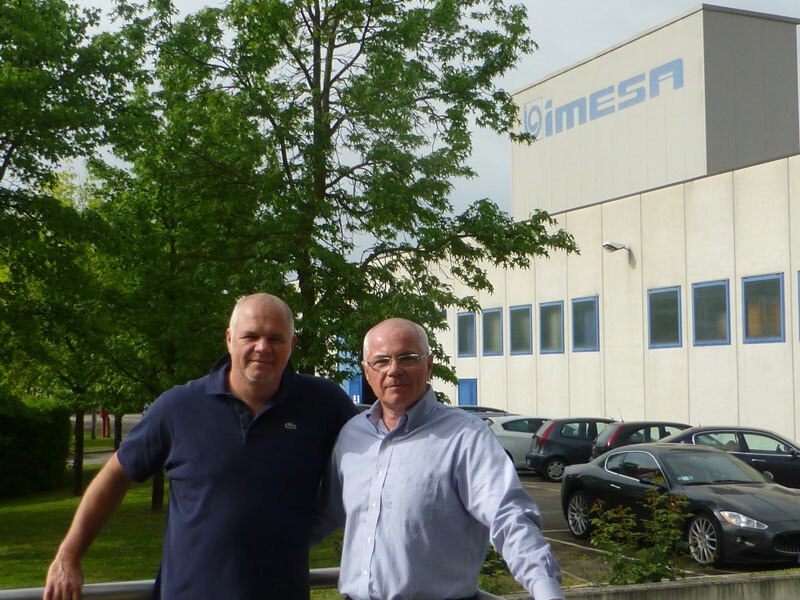 20 September 2013:IMESA celebrates its 45th anniversary.A propitious 45 year period of success and continued growth, which led the Treviso company to become a key Italian manufacturer in the laundry market. 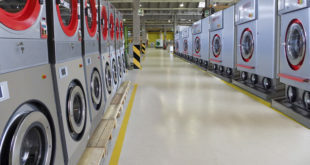 Today IMESA does more than just manufacture equipment, it also creates complete solutions for the laundry sector.Over time, in fact, the term “product” has taken on new meanings:companies don’t just supply washing machines or dryers now, they also have to guarantee up-to-date systems to meet customer needs. Flexibility and versatility:two concepts that characterize state-of-the-art productions, as well as playing a decisive role in the IMESA system.In fact, flexibility and versatility concern not just the production systems, but also the machines themselves.The company, through its own research and development & engineering office, creates products that can be adapted to meet several needs.Well-established in the HoReCa laundry sector, through the years, IMESA has also taken over significant market shares even in the professional laundry and industrial cleaning sectors.Three sectors that have little in common when talking about laundries.So how can they stay competitive on three remarkably distinct vanguards like these?Only by investing in research and modern technologies that can make the machines highly versatile and fit to meet vastly different needs. Let’s start with the washing machine, the true linchpin of every laundry.The IMESA washing machine doesn’t have an ordinary microprocessor, instead it is equipped with a true touchscreen computer with microlinux operating system.Why is this important for the end customer? It’s extremely intuitive.IM8 is as easy to use as an everyday Smartphone. In fact, just like modern phones, it uses simple icons that are easy to understand and, above all, guide the user correctly through the process of selecting and starting the desired program from among the 200 programs available.It even allows the user to optimize operation by choosing five programs as “favorite” programs (just like in the phone book of a cellphone), while an additional five programs are selected by the computer based on how frequently they are used.This means designing with a primary focus on the user, his habits and his needs.The IM8 computer allows the laundry to have highly customized programs created based on the detergents used.Connection with the peristaltic pumps means the detergents can be measured out precisely, thus avoiding waste and possible errors that could compromise washing quality. 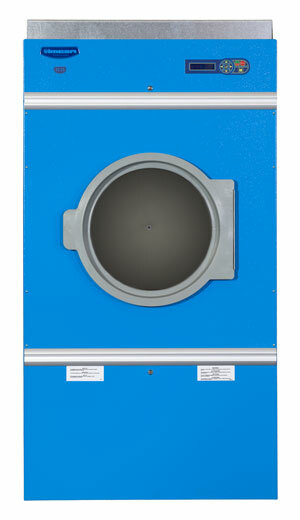 The same tactics used in the design of the washing machine have naturally been used in designing the drying machines, flatwork and drying ironers.All the products are equipped with user-friendly control systems, aimed at simplifying the laundry’s working process.Moreover, IMESA products are built with not just the user’s comfort in mind, but also his safety.Washers, flatwork and drying dryers are all equipped with systems that allow the user to stop the machines at the first sign of danger. In the case of IMESA ironers, the safety and quality are even patented!In fact, the F1 ironer is the only ironer able to guarantee high-quality ironing that is uniform and constant over the entire length of the roll, due to the special torsion bar. It’s also the only ironer that provides microprocessor-controlled ironing pressure.But that’s not all; F1 is the only ironer on the market equipped with a panic bar which, when pressed in case of emergency, immediately moves the bed away from the roll. 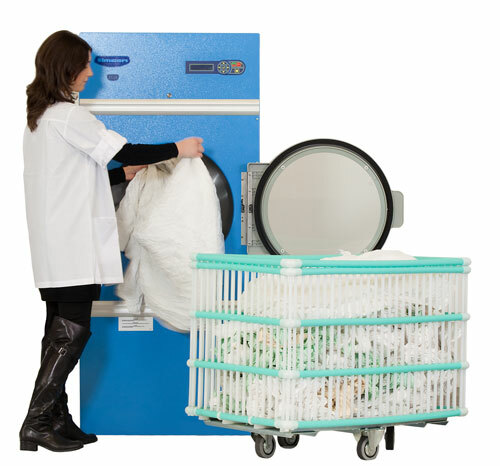 IMESA also provides solutions for more complex problems, such as tight spaces.In this case the ideal solution is TANDEM:it’s not a scanty system like a simple washer-dryer machine, but a complete system which, with the dryer positioned on top of the washing machine, allows a complete laundry to be set up in less the 1 m2.The two machines, with distinct technologies and uses, maintain their individuality and can be used at the same time or different times, as needed.In any case, TANDEM allows to wash and dry up to 18 kg of linen in one hour. 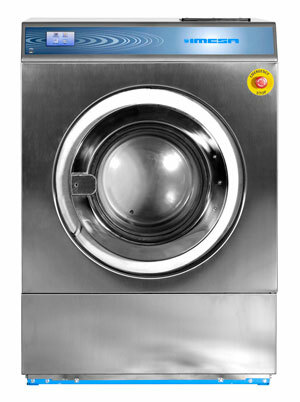 In an industrial field, solution goes hand in hand with service.An accidental machine shutdown means a slowdown in laundry production.With the remote assistance and diagnostics system, however, the washing machine is in direct contact with the maintenance engineer.Any anomaly that may occur is immediately notified to the nearest service center which, being able to query the machine remotely, can promptly perform a pre-analysis of the problem in order to arrive at the laundry with all the necessary spare parts.This represents a unique support tool which involves not only significantly lower call-out costs, but also reduced machine down time. Today’s laundries are no longer about just washing, drying and ironing. If you consider the retirement home field, or artisan laundries treating workwear or personal clothing of guests, you can see that management becomes very complex issue.How do you know who the garments belong to?Numerical labels, name tags and barcodes take up a huge amount of time.In specific response to customer needs, IMESA developed IRIS, the radio frequency garment identification system that, with the use of a PDA, facilitates the management of garment collection, final delivery and tracking within the structure. IMESA means true eco-solutions:where eco means economical and ecological.It focuses not only on costs, which are reduced with proposals using state-of-the-art technology, but also the environment and energy savings.All IMESA products are built with production processes that minimize environmental impact and are designed to minimize water and energy consumption as well. This is how IMESA achieved 45 years of success. Una lunga storia di impresa tutta dedicata alla lavanderia, tramite la progettazione di soluzioni che soddisfino i più diversi clienti. Succede in un’azienda che, non tradendo mai i propri valori, festeggerà il prossimo settembre nove lustri di indiscussi successi. IMESA è l’azienda italiana leader nella produzione di macchine e sistemi per lavanderie. Un primato conquistato grazie a più di quaranta anni di impegno rigoroso e di attenzione alle trasformazioni delle tecnologie e degli stili di vita. 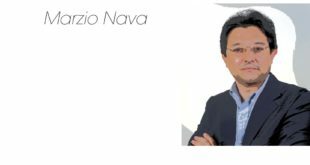 Innovazione, qualità, sicurezza, versatilità, servizio, affidabilità: il successo di IMESA si basa su questi concetti. 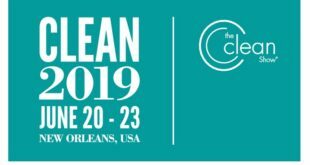 Innovazione nelle tecnologie e nelle proposte, qualità garantita da processi di produzione certificati dal sistema UNI EN ISO 9001, sicurezza dei prodotti certificati da autorevoli test di collaudo europei, americani e russi, nonchè versatilità nel soddisfare tutte le richieste dei clienti in termini di personalizzazioni del prodotto e del servizio, e affidabilità garantita dalla struttura forte e compatta dei prodotti. Il distributore IMESA è un vero e proprio partner, in grado di fornire tutto il supporto necessario alla scelta delle attrezzature più opportune e di completare il dimensionamento dell’impatto con un’analisi finanziaria dei costi di gestione e con il rendering del progetto. La capillare rete di assistenza garantisce un pronto intervento in caso di necessità ed eventuali ricambi sono facilmente reperibili presso i centri di assistenza tecnica o consultando il sito ufficiale IMESA. 20 Settembre 2013: IMESA festeggia il suo 45° anniversario. 45 anni di felici successi e di costante crescita, che hanno portato l’azienda trevigiana a diventare produttore italiano di riferimento per il mercato della lavanderia. Oggi IMESA può affermare non solo di costruire attrezzature, ma anche di creare soluzioni per la lavanderia. Con il tempo, infatti, il termine “prodotto” si è arricchito di nuovi significati: non si forniscono più solo lavatrici o essiccatoi, si devono garantire anche sistemi moderni in grado di soddisfare le esigenze del cliente. Flessibilità e versatilità: due concetti che caratterizzano le produzioni più moderne, oltre a diventare decisive nel sistema IMESA. La flessibilità e la versatilità, infatti, non riguardano solo i sistemi produttivi, ma anche le macchine. L’azienda, per mezzo del proprio ufficio ricerca e sviluppo e del proprio ufficio progettazione, crea prodotti che si possono adattare a più esigenze. Da sempre vocata alla lavanderia HoReCa, IMESA nel tempo ha conquistato importanti quote di mercato anche nel settore della lavanderia professionale e nel settore della pulizia industriale. Tre comparti che poco hanno a che spartire quando si parla di lavanderia. E allora? Come restare competitivi in contemporanea su tre fronti così diversi? Solo investendo in ricerca, solo investendo in tecnologie moderne che rendano le macchine versatili e adatte a soddisfare esigenze enormemente diverse. Partiamo dalla lavatrice, cuore di ogni lavanderia. La lavatrice IMESA non è dotata di un comune microprocessore, ma di un vero computer touch-screen con sistema operativo microlinux. Quale il vantaggio per il cliente finale? È estremamente intuitivo. IM8 è tanto facile quanto usare un comune smartphone, e infatti, come i moderni telefonini, usa delle semplici icone facili da comprendere e, soprattutto, guida l’utilizzatore nel selezionare e avviare correttamente il programma desiderato fra i 200 fruibili. Una disponibilità da ottimizzare scegliendo cinque programmi come “preferiti” (esattamente come avviene nella rubrica del telefonino), mentre ulteriori cinque programmi sono selezionati dal computer fra i più utilizzati. Questo significa progettare avendo come obiettivo primario l’utilizzatore, le sue abitudini, le sue necessità. Il computer IM8 permette alla lavanderia di avere programmi personalizzati nel minimo dettaglio e creati sulla base dei detergenti utilizzati. La connessione alle pompe peristaltiche permette di dosare i detersivi in modo preciso, evitando sprechi ed errori che potrebbero compromettere la qualità del lavaggio. Gli stessi accorgimenti utilizzati nella progettazione della lavatrice, sono stati ovviamente utilizzati anche nell’ideare essiccatoi, mangani e calandre. Tutti prodotti dotati di sistemi di controllo intuitivi, volti a semplificare il lavoro della lavanderia. Non solo, i prodotti IMESA sono costruiti pensando al comfort dell’utilizzatore, ma anche alla sua sicurezza. Lavatrice, essiccatoi, mangani e calandre sono tutte dotate di sistemi che permettono di arrestare le macchine al primo sentore di pericolo. Nel caso dei mangani IMESA, sicurezza e qualità sono brevettate! Il mangano serie FI, infatti, è l’unico a garantire una qualità di stiro uniforme e costante su tutta la lunghezza del rullo, grazie all’uso della barra di torsione, così come è l’unico a permettere il controllo della pressione di stiro da microprocessore. Non solo, FI è l’unico mangano sul mercato dotato di barra antipanico, che quando viene premuta, in caso di emergenza, allontana immediatamente la conca dal rullo. IMESA dà una soluzione anche ai problemi più complessi, come quelli di spazio. In questo caso la risposta è TANDEM: non un sistema limitato come una semplice lavasciuga, ma un sistema completo che, sovrapponendo l’essiccatoio alla lavatrice, permette di allestire una lavanderia completa in meno di 1 mq. Le due macchine, diverse per tecnologia e uso, mantengono le proprie singolarità e possono essere usate nello stesso momento o in momenti diversi, a seconda della necessità. In ogni caso TANDEM permette di lavare ed asciugare fino a18 Kg di biancheria in un’ora. Soluzione, in campo industriale, va di pari passo con servizio. Un accidentale fermo macchina comporta per la lavanderia il rallentamento della produzione. Grazie al sistema di teleassistenza e telediagnostica da remoto la lavatrice è in contatto diretto con il tecnico manutentore. Ogni possibile anomalia viene immediatamente comunicata al centro servizi più vicino che, potendo interrogare la macchina da remoto, procede già ad una pre-analisi del problema e si reca nella lavanderia con tutti i possibili ricambi necessari. Una facilitazione che comporta una non indifferente riduzione dei costi di intervento, nonché la diminuzione del tempo di fermo macchina. La lavanderia, oggi, non è solo lavare, asciugare e stirare… Se si entra nel campo delle case di riposo, o delle lavanderie artigianali che trattano abiti da lavoro o i capi personali degli ospiti, la gestione diventa davvero complessa. Come identificare correttamente i proprietari dei capi? Etichette numeriche, nominative e codici a barre richiedono enormi perdite di tempo. Dando ascolto alle necessità dei propri clienti, IMESA ha sviluppato IRIS, il sistema di identificazione dei capi tramite radiofrequenza che, grazie all’uso di un computer palmare, facilita la gestione della raccolta dei capi, della loro riconsegna, della loro tracciabilità all’interno della struttura. IMESA è davvero eco-solutions: dove eco sta per economico ed ecologico. Non solo attenzione ai costi, ridotti grazie a proposte che sfruttano le tecnologie più moderne, ma anche all’ambiente e al risparmio energetico. Tutti i prodotti IMESA sono costruiti con processi di produzione che riducono al minimo l’impatto ambientale e sono progettati per ridurre al minimo i consumi di acqua ed energia. Così IMESA ha collezionato 45 anni di successi.